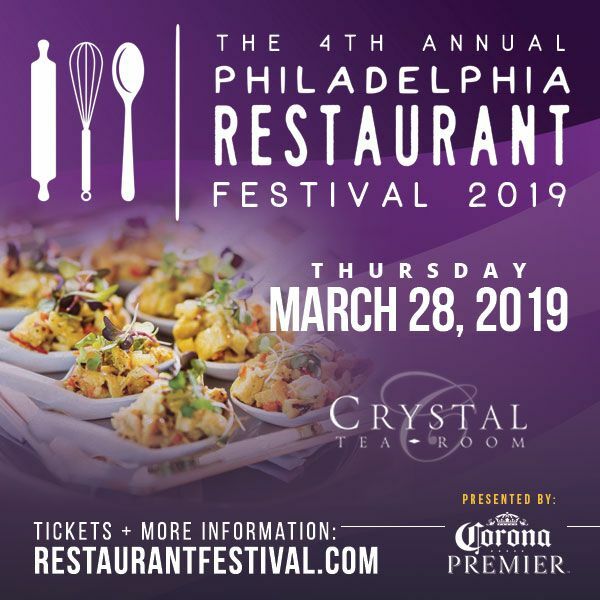 Join us on Thursday, March 28th, for The Philadelphia Restaurant Festival presented by Corona Premier! Enjoy DJ & live entertainment and amazing food from your favorite Philadelphia restaurants at the timeless Crystal Tea Room. Eat & Drink your way through a showcase of Philadelphia’s vibrant local restaurant scene - this event will be a food connoisseur's dream! "Like" & share this event with friends - sample dozens of different amazing restaurants, craft beers, liquors, and wines from across the Philadelphia area. just added! Access to the Official After Party at Iron Hill Brewery with specials & more fun! A portion of proceeds will benefit multiple charities. NOTE: Any promo / discount codes expire 48 hours prior to event. This event is 21+, proper ID required. Due to the amount of restaurants & vendors, this event is rain/snow or shine.